Monsters and Giant Robots — were there ever more natural enemies? They’re like dogs and cats, only giant and way deadlier. 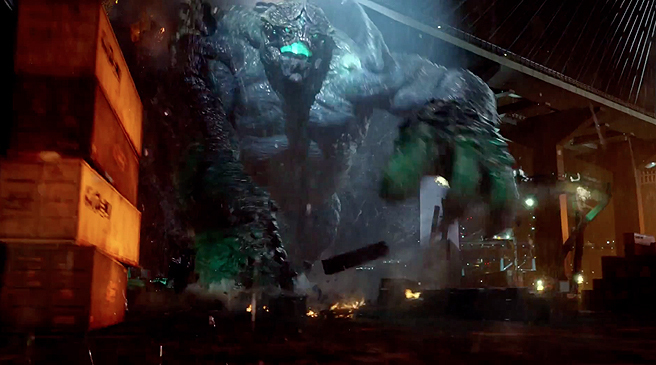 This weekend, Guillermo del Toro’s Pacific Rim opens in theaters, and in what’s sure to be one of the year’s coolest sci-fi epics, updates the now-classic Kaiju Big Battle, going huge with special effects, human heroism and — best of all — Ron Perlman! Oh man, do you think he makes wisecracks? The concept is pretty simple. Huge monsters, called Kaiju, come to earth and start wrecking up the place. They’re huge, they’re bad, they have big teeth and basically, it looks like homo sapiens are toast. But wait a second, here comes human ingenuity in the form of badass giant robots, called Jaeger, to strike back against our monstery foes. Cities are leveled, names are taken, and in the end, a sequel is probably in the offing. 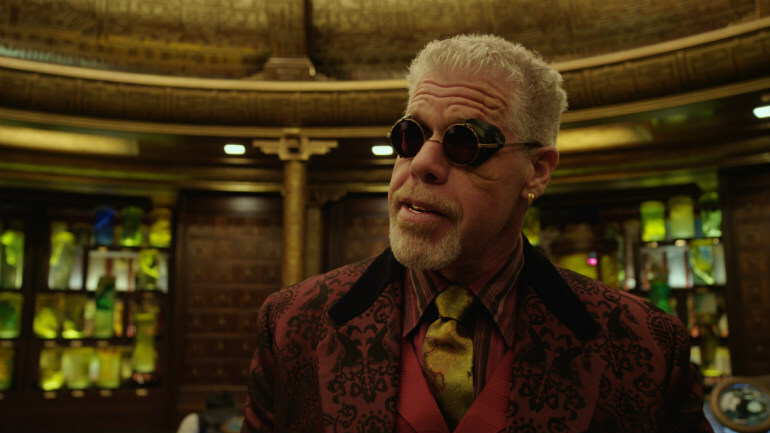 Did we mention Ron Perlman’s in it? 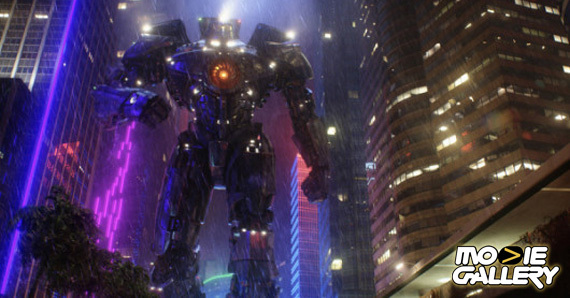 One question lies at the heart of Pacific Rim: Who doesn’t want to see monsters and giant robots punching each other? For the life of me, I can’t think of anyone. Aside from Perlman, the cast also includes Idris Elba, Charlie Hunnam, Rinko Kikuchi and Charlie Day, but it might be Guillermo del Toro himself who’s the biggest star. The director behind Pan’s Labyrinth and the Hellboy series has an eye for creature creation like no one else’s, and he and his team are able to make other worlds seem not only realistic, but realistic AND fantastical. Also, sometimes the heroes walk toward the camera, probably in slow motion. 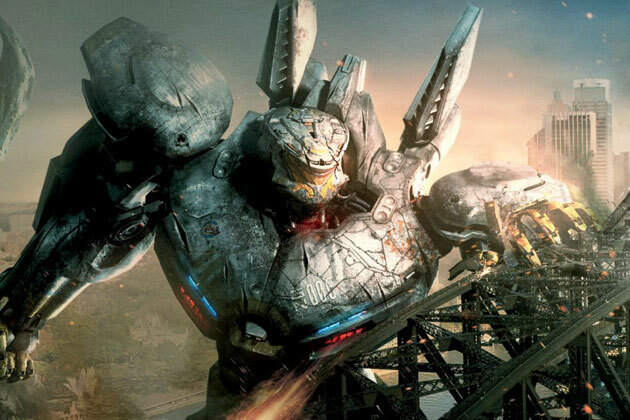 Pacific Rim is arguably his biggest challenge yet. At least in terms of the sheer scale of the worlds he’s colliding. 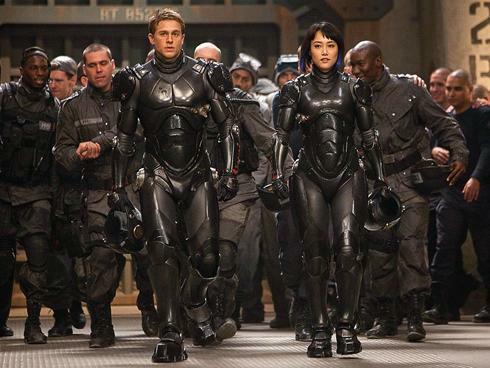 Pacific Rim opens this Friday, July 12. To get you primed up, here’s the trailer introducing the Kaiju, the Jaegers and all the smashy-smashy you’ll get when they meet up. This entry was posted in Previews and tagged giant robots, guillermo del toro, jaeger, kaiju, pacific rim, pacific rim kaiju by summerm. Bookmark the permalink.